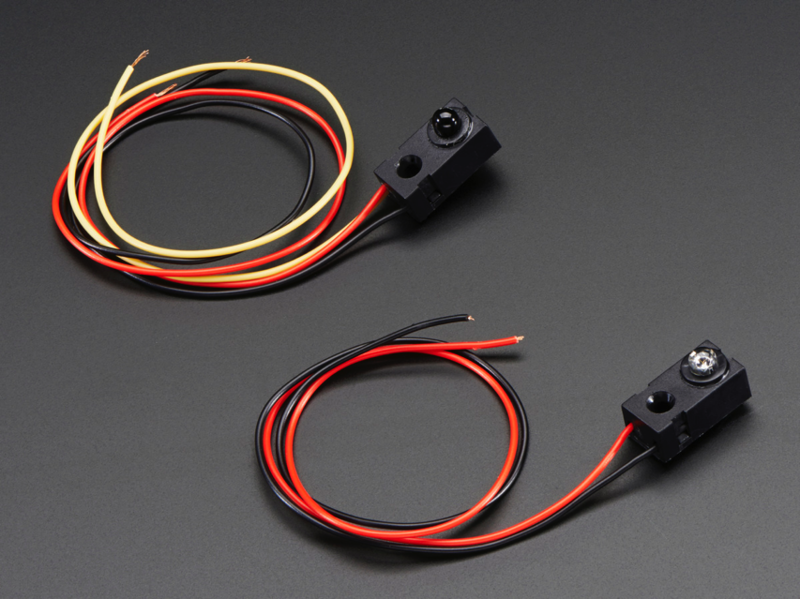 NEW PRODUCTS – IR Break Beam Sensor – 3mm LEDs / 5mm LEDs « Adafruit Industries – Makers, hackers, artists, designers and engineers! 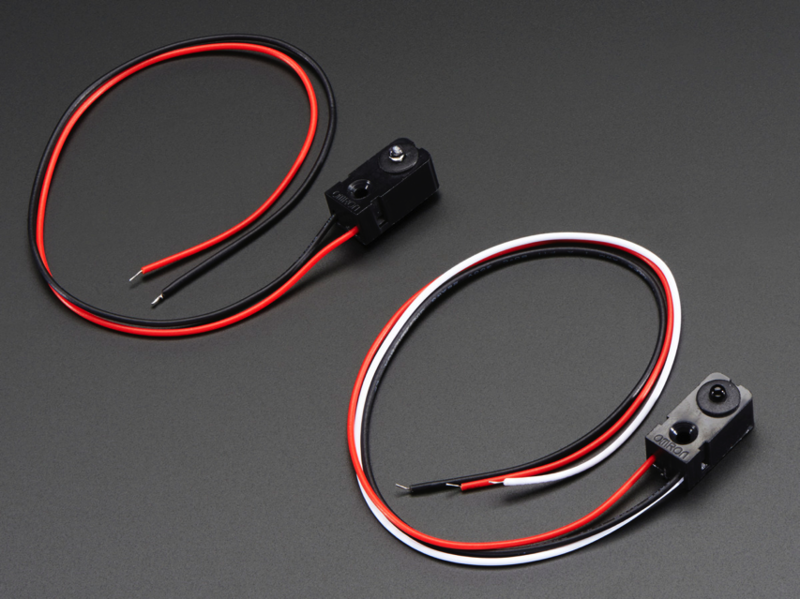 Infrared (IR) break-beam sensors are a simple way to detect motion. They work by having an emitter side that sends out a beam of human-invisible IR light, then a receiver across the way which is sensitive to that same light. When something passes between the two, and its not transparent to IR, then the ‘beam is broken’ and the receiver will let you know. Compared to PIR sensors, breakbeams are faster and allow better control of where you want to detect the motion. Compared to Sonar modules, they’re less expensive. However, you do need both emitter and receiver on opposite sides of the area you want to monitor. This is the 3mm IR version. It works up to 25cm / 10″. You can power it from 3.3V or 5V, but 5V will get you better range and is what we suggest. The receiver is open collector transistor output which means that you do need a pull up resistor if you want to read a digital signal off the signal wire. Most microcontrollers have the ability to turn on a built in pull up resistor. If you do not, connect a 10K resistor between the white wire of the receiver and the red wire. If you want to control a relay or LED or whatever, it can sink up to 100mA to ground.